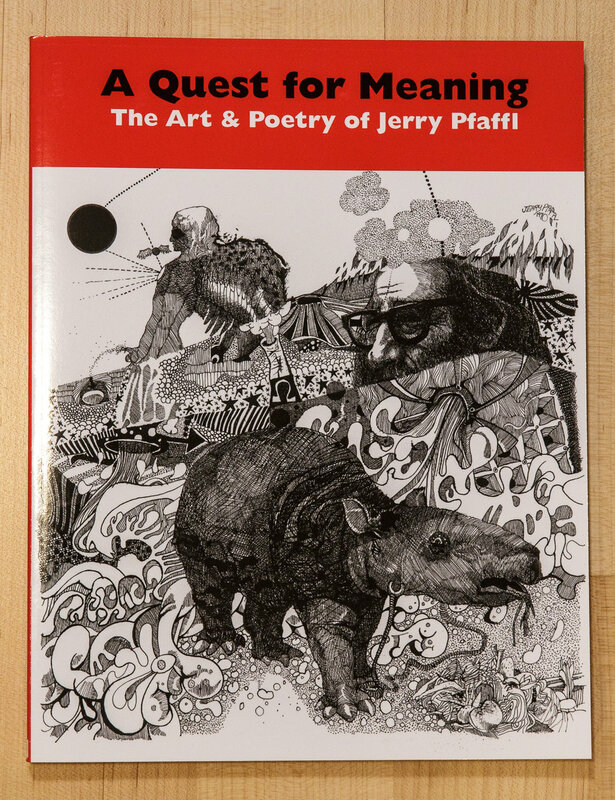 The work of Jerry Pfaffl is mystical and mysterious, full of marvel and message. It is lyrical, magical and richly symbolic. While otherworldly, it addresses social and moral issues in an earthy way. There is a spiritual weaving to Jerry’s drawings composed of many threads involving myth, psyche, and imagination. These pieces intrigue, in that they make his private dreamscape public. So, these dream images mean to Jerry what he thinks they mean, and as the viewer’s own psyche and spirituality are engaged, new overlays and understandings can evolve on the platform of Jerry’s imagery.